This Triple X-hot Salsa is spicy and even though I was born and brought up India this spiciness reminds me of Bhut Jolokia ( hottest chilly in the world) COmpared to the previous peach salsa this salsa is for the die hard spicy lovers. 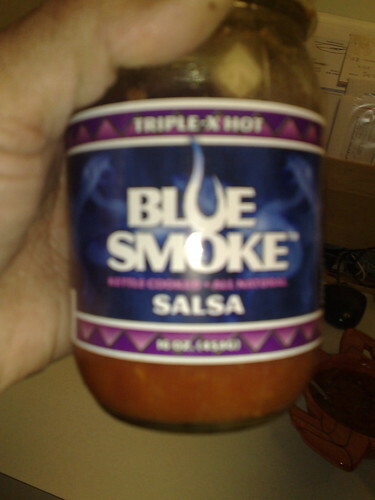 As usual the Salsa was like home made from Blue Smoke Salsa http://www.bluesmokesalsa.com. if you are going to dare one of your guests for the super bowl about the ability to eat spicy salsa this is the salsa for you. Link to the ordering page https://www.bluesmokesalsa.com/blue-smoke-products/.